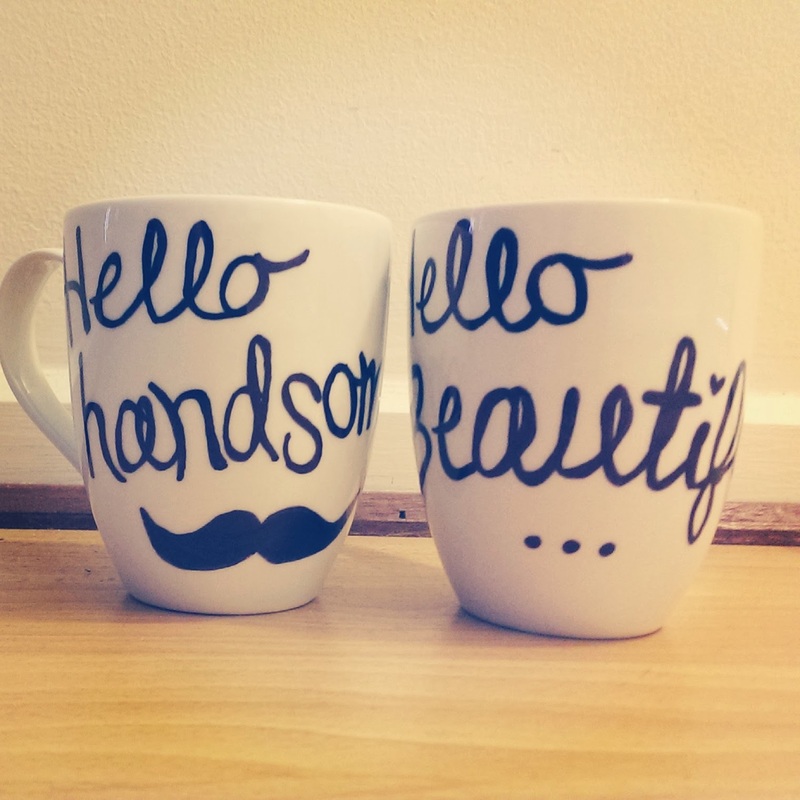 I have seen these cute mugs all over pinterest and it has been on my 'must make' list for approximately one whole year. The day finally came when I bought the materials and created my own. Do they wash well? A tad of the texta faded on my mugs after I hand washed them, however nothing that can't be fixed. Defintley do not put them in the dishwasher and for a longer-lasting personalisation use a good quality texta (rather than the recommended 'sharpie'). Great gift idea.